Some archaeologists believe that the ridge of slightly higher land upon which the village stands was the furthest intrusion inland of the sea — unlike the villages in the fens, which were often surrounded by watery land after the sea receded. 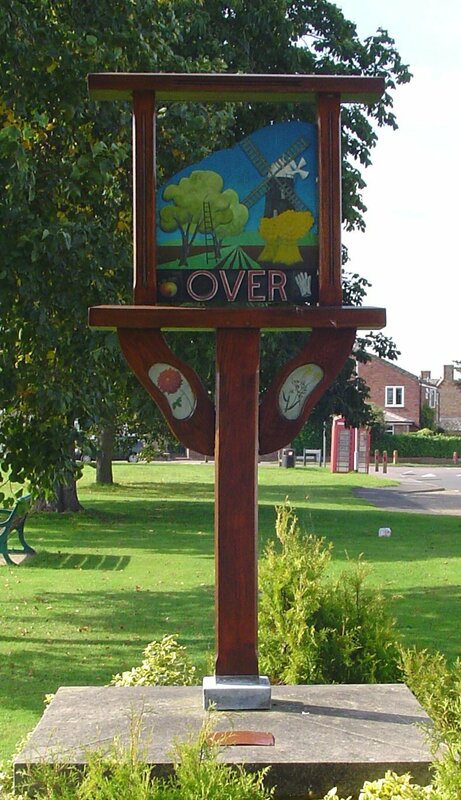 Over was an edge-of-fen settlement. The sign was restored by the WI in ABCD. There was a working mill in EFGH.